The power of a photographer or videographer/cinematographer should not be underestimated, especially when they can capture the most important magical moments in your life. 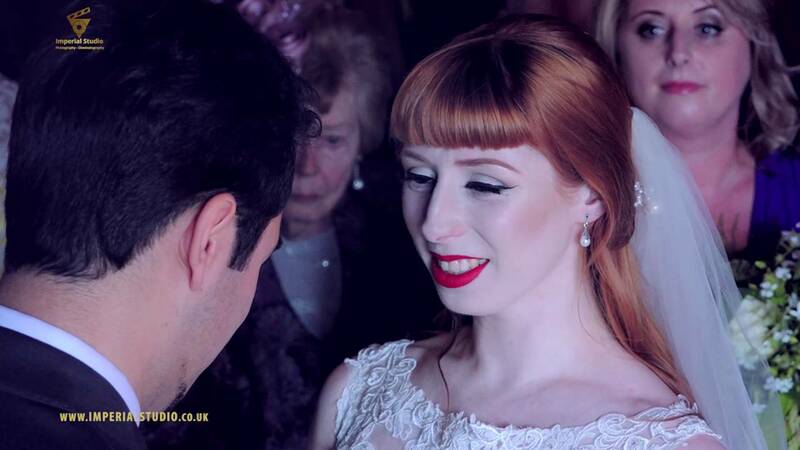 Whether you are celebrating your wedding day, capturing the birth of your little one, or marking a milestone birthday, Imperial Studio’s highly skilled photographers and videographers/cinematographers in London will ensure that every moment is beautifully preserved. Armed with over 20 years of industry experience, we approach every project with a fresh pair of eyes and an open mind. And it is this ethos that has enabled Imperial Studio to drive our business forward, allowing us to tailor our luxury photography and videography/cinematography services to meet your bespoke individual requirements. We provide an exceptional blend of styles that encompass traditional poses, candid photography, fashion shots and photojournalism, and we manage every stay of the process so that we don’t miss any unforgettable moment. Dan is a very professional person. He turned up early for our wedding and had a calm but organised approach to his work. Dan captured some lovely moments from our special day and the final DVD brought a tear to my eye. The smooth transitions for each part of the day ensured that my husband and I thoroughly enjoyed watching and reminiscing moments from our special day. The Blue-Ray DVD is of excellent quality and I have been impressed by the overall service provided. The photographers who worked with Dan also complimented him on his very pleasant work etiquette. Fantastic service from start to finish, we cannot recommend enough! We made a late decision to have our wedding videoed, it turned out to be one of the best decisions we made! Most people are not comfortable being in front of camera and on your wedding day you know you are the focus of everyone’s attentions, so added pressure of photographers and videographers just add to your nerves. Dan and his team put you at rest, so you act natural and then capture you and your guests enjoying the moments from your day. We have just received the finished video and it has been edited superbly, we did not even give him any music choices to accompany and his choices fitted perfectly in with what we had in the ceremony and first dance. If you want an extremely professional, friendly, affordable service then Imperial Studio is the company to book with. A BIG THANK YOU TO IMPERIAL STUDIO FOR OUR WEDDING TRAILER AND PHOTOS. EVERYTHING WAS EXACTLY AS WE WANTED. THANK YOU FOR PROVIDING SUCH AN EXCELLENT FRIENDLY SERVICE. WE HIGHLY RECOMMEND IMPERIAL STUDIO. The level of service we received from Imperial studio was absolutely fantastic. The care and detail he took when planning to film or wedding day all the way through to the finished product was outstanding. The editing is amazing! We were absolutely delighted with the finished DVD . We just watched the DVD and cried and laughed. Without a doubt the best decision we made about our big day. It was a big decision but we are so so glad we decided to have a videographer and to have Imperial Studio.